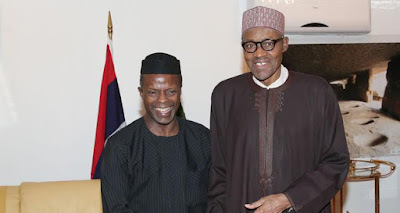 The assets of President Buhari and Vice President Yemi Osinbajo have finally been disclosed. Below is a press statement from the presidency. “Documents submitted by President Muhammadu Buhari to the Code of Conduct Bureau (CCB), show that the retired General has indeed been living an austere and Spartan lifestyle, contrary to what many might expect of a former Head of State of Nigeria and one who has held a number of top government positions, such as governor, Minister of petroleum and the head of the Petroleum Development Trust Fund (PTDF). “The documents submitted to the CCB, which officials say are still being vetted and will soon be made public, show that prior to being sworn in on May 29, President Buhari had less than N30 million to his name. He also had only one bank account, with the Union Bank. President Buhari had no foreign account, no factory and no enterprises. He also had no registered company and no oil wells. “The Vice President, Professor Yemi Osinbajo (SAN) who had been a successful lawyer before his foray into politics declared a bank balance of about N94 million and 900,000 United States Dollars in his bank accounts. “President Buhari declared however that he had shares in Berger Paints, Union Bank and Skye Bank. “This is entirely unlike what one might expect from a former head of state of a country like Nigeria. “The documents also revealed that President Buhari had a total of five homes, and two mud houses in Daura. He had two homes in Kaduna, one each in Kano, Daura and in Abuja. One of the mud houses in Daura was inherited from his late older sister, another from his late father. He borrowed money from the old Barclays Bank to build two of his homes. “President Buhari also has two undeveloped plots of land, one in Kano and the other in Port Harcourt. He is still trying to trace the location of the Port Harcourt land. “In addition to the homes in Daura, he has farms, an orchard and a ranch. The total number of his holdings in the farm include 270 heads of cattle, 25 sheep, five horses, a variety of birds and a number of economic trees. “The documents also showed that the retired General uses a number of cars, two of which he bought from his savings and the others supplied to him by the federal government in his capacity as former Head of State. The rest were donated to him by well-wishers after his jeep was damaged in a Boko Haram bomb attack on his convoy in July 2014. “As revealed by the same forms, highlights of the Vice-President, Professor Yemi Osinbajo’s asset declaration include his 4-bedroom residence at Victoria Garden City, Lagos and a 3-bedroom flat at 2 Mosley Road, Ikoyi. The Vice President also has a 2-bedroom flat at the popular Redemption Camp along Lagos-Ibadan Expressway and a 2-bedroom mortgaged property in Bedford, England. Aside from these, the Vice President has no other landed properties on the form. “Apart from his law firm, known as SimmonsCooper, the Vice-President also declared shareholding in six private companies based in Lagos, including Octogenerium Ltd., Windsor Grant Ltd., Tarapolsa, Vistorion Ltd., Aviva Ltd. and MTN Nigeria. “According to details shown on the form, the Vice-President has about ninety four million naira, nine hundred thousand US dollars and nineteen thousand pounds in Nigerian Banks with the foreign currencies kept in local domiciliary accounts. His personal vehicles are one Infinity 4-Wheel Drive SUV, one Mercedes Benz and a Prado Jeep.